I have some fresh roe and want to cure it. I have tried pro cure before but it shrunk the eggs and i wasnt very happy with the way it turned out. Does any one have any tricks, methods, recipes they use to get roe that doesnt shrink, stays firm and keeps it colour (or adds some) and that can be frozen, thawed, and frozed again? Or am i being to picky? This is all that I have used for 3 years now.....no complaints...pretty awesome actually. A little time consuming but great results. Thanks...can it be used on loose eggs rather than eggs in teh skein? Dry out the eggs on paper towels or a window screen until they are tacky. Then put them in ziplock bags, take out the air and freeze. Unfortunately, the eggs don't do well if you refreeze them. Some will start to pop so put enough in a bag for a single day use. So after you get the hen with the loose eggs you bleed her. Then you take the eggs and put them in a knee high and soak in the river for a few minutes it doesn't take long at all. Drain out all the moisture. Put in a freezer bag and you have river cured eggs that you should be able to work with no problem. Now if you want to season them up like in Angies recipe take the eggs and lay out to dry but not a paper towel. Get some silicon paper (ask for a few sheets at a bakery) that rolled up crap sold in the grocery store will drive you crazy with the eggs rolling around on it. Why silicon paper the eggs won't stick to that. Once they are dried and just a bit tacky just do the exact same thing as in in her recipe. Anise oil, borax knox gelatine..... Or if you want to leave em natural they should last at least a month in the fridge in a very clean glass jar. I tend to like to take any loose eggs that I have river cured though and tie them the night I get them and then I just freeze them in containers small enough for a trip that I then double wrap in freezer bags. 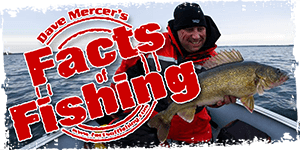 I have seen days where with dirty water it was only the stinky rotten tied roe that had been thawed and refrozen a few times (which is a heck of a lot easier to do already tied btw) be the only thing that would attrack hits. The exact opposite is true too though LOL But that is steelheading. Works just fine on loose eggs as well. Then you left the ProCure on too long, don't need much more than 3/4 to 1 hour, then let them drip in a collander or over mosquito screening, dry and bag. Lot easier than reading Angies drivel. Procure works great, just don't follow the directions on the label. Use much less than what's prescribed. thanks for all the replies. I do have some pro cure leftand will try them again, and i will try some using Angies recipe. I do roll all my spawn bags in one shot and freeze them in day uses. I like rolling in bunches rather tahn a little at a time. WHAT?!?!?! That PINK stuff you gave me isn't your own concoction, but PRO-CURE!!! If you never cure your roe, you can refreeze it a couple of times before it gets too goopy to be of anymore use. I pack mine, skein or loose, into small camera film containers that I get at the camera shop. You ask for them & they are happy to fill a bag for you. I put the containers in Ziplocs, afterward, and write down date & type of fish, loose or skein... etc, then toss them in the freezer. I thaw whatever I think I'll need a couple of days before I have to tie them. Little to no freezer burn when you do it this way. Oh,if your into using single eggs,you can boil them til white. Let sit in a small baby jar(I,ll be able to get some of them now ) with cod liver oil and annise. Great for the late fall bows and browns. here' my method. I've used it for over 30 years. First water harden the eggs. I prefer to do it at home using some ice and none chlorinated water. Just pour the eggs an a pail, add water and ice. Test a coupleof eggs every couple of minute for the firmness you want. I like mine pretty firm so they don't break when I bag them. Scoop out the ice and pour eggs and water into a cheap collander (dollar store variety). Now flatten out about 4 or 5 days worth of newspapers in a stack. Lay two layers of paper towels on top of the newspapers. Pour the salmon eggs onto the paper towels. You can air dry them at this point or speed up the process by using salt instaed. I prefer using salt, that way I can process the eggs faster and I I minimize the risk of contamination (smells, fungus) or accidents (my cat). IT IS VERY IMPORTANT THAT YOU USE SALT WITH NO IODINE. Pickling salt is perfect. Liberally sprinkle the salt all over the eggs. Mix with a spoon. Soon the salt draws out the water from the eggs (Osmosis) the whole thing gets pretty gooey. Rool the ggs to one side (half) of the pper towels and pull all the wet newspapers, paper towels and eggs off the stack. Put two more layers of paper towels on the dry newspapers. Gently roll the eggs from the wet paper onto the dry one. You can use a spoon if you want. Sprinkle a lot more salt. Keep repeating the process until the eggs look as dry as a raisan and you think you've ruined them. You managed to take virtuall all the water out the eggs. That's good because bacteria and fungus will have a hard time growing on your eggs. Rinse the excess salt off using a collander. Shake off the excess water. Now using a small zip lock bag spoon 4-5 spoonfuls (about hlf of what you would normally use in one outing) of these wrinkled eggs into the bag and fold the bag to get as much air out as possible. USe a straw if you want get the most air out. Put about 4 of these bags into a larger Ziplock (freeze quality) and put them into a freezer. Do that to all the eggs. I put the larger bags into a small rubermaid conatainer that will hold abot 4 large bags (16 small one in total) and I snap a lid on and leave it in the freezer. Fold the bag. The eggs are processed AND WILL LAST A VERY LONG TIME. Mine are 18 years old and still work like a charm. About 4-5 days before you go fishing. Get a days supply of frozen eggs (usually two little bags). I a jar (I use baby food jars) mix a saturated solution of pickling salt and unchlorinated water (lake or river water is good). To make a saturated solution add salt to the water and stir until the salt will NOT dissolve in the water . You don't need a lot, that's why I use a baby food jar. At this point you can add any colouring you want (jello is nice, koolaide), any secret scent, MSG (it works), oils, the works. Put about 4-5 table spoons of your 'secret' sauce into the zip lock bag with the wrinkles eggs and reseal the zip lock bag. Put it into the fridge (NOT THE FREEZER). in2-3 day the eggs will plump up like the day you got them. I am still amazed every time I do this. Bag you eggs. I use M and M containers (they come in a pile of colours) to hold the egsgs. I try to match the egg bagto the contaainer. I use a modified shot gun shell belt to hold my Conatainers. The reprocessed eggs will keep well for 4-6 weeeks in the fridge, left over eggs keep nicely for the next trip. Mine are 18 years old and still work like a charm. Wow that totally blows my mind. All I have ever done for over 20 years is water hardened them in the stream,when I get home just add a spoon of table salt. They stay firm and can be refrozen over and over with no problems.I still have some from 5 years ago that look great.